This article applies to most internal and external webcams for PCs running Windows 10, 8, and 7. For help with cameras on Apple computers, see What to Do When Your Mac Camera is Not Working. Why Is Your Webcam Not Working? When you try to turn on your camera, you might see an error code such as 0xA00F4244 or 0x200F4244 along with the message "We can't find your camera." This information isn't very helpful by itself, so you'll have to conduct some troubleshooting steps. Windows usually installs drivers automatically when it detects new hardware, but if you recently upgraded to Windows 10, there's a good chance that you need to manually update your hardware drivers. Some Windows 10 store apps only support newer webcam models, so your older device could be completely incompatible. Most desktop programs, however, still support older cameras. It's also worth noting that Windows 10 has a feature that disables the internal webcam. 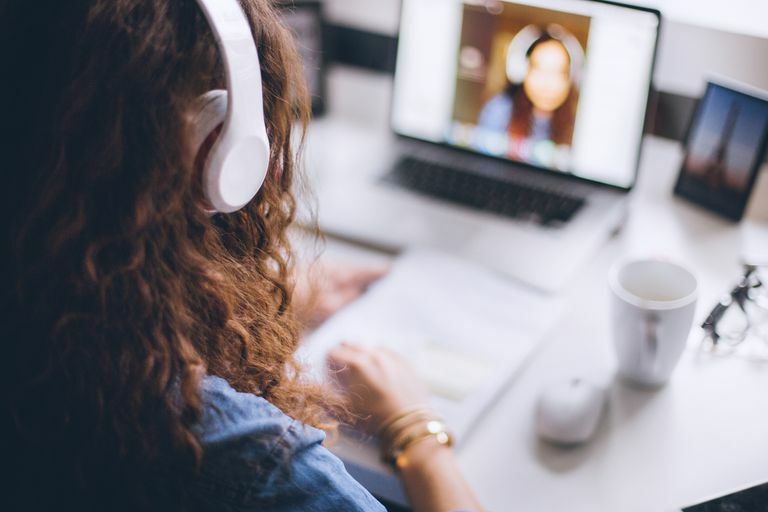 Keeping your webcam turned off when not in use is actually a great idea to protect your privacy, but it can cause problems if you accidentally toggle this feature. Check your antivirus settings. Antivirus software can occasionally interfere with webcams. Investigate the software settings to see if your antivirus is preventing your camera from launching. Plug the webcam into a different computer. If using an external camera, plug it into another device to make sure it works. If you're having problems with it on multiple computers, it's time to get a new webcam. Check the device connection. If using an external camera, make sure it's properly connected to your computer. Jiggling the cable or simply unplugging and plugging it back in can work miracles. Check the USB port. Of course, connection problems can occur on your computer's end as well, so try plugging something else into the USB port to rule out that issue. Make sure the correct device is enabled. If you have a built-in camera and an external webcam plugged in, then applications can get confused about which one to use. Check the application's settings and find the option to select your preferred device. Consult the manufacturer. For external webcams, check the user manual or the manufacturer's website for further guidance. Update the webcam drivers. Follow the steps listed below for your version of Windows. You must be logged in as your device's administrator to change driver settings. Change your system settings. Follow the steps listed below for your version of Windows. Right-click the Start button in the lower-left corner of your screen and select Settings from the menu. Select Privacy on the Settings menu. Select Camera on the left pane. Make sure Camera access for this device and Allow apps to access your camera are both enabled. Scroll down and look under Choose which apps can access your camera to make sure the app you want to use is enabled. Close the settings menu, then right-click the Start button again and select Device Manager from the menu. Double click Cameras, then double click your device from the drop-down list to open its properties. If you're using an external webcam, it might be listed under Sound, video, and game controllers or Imaging devices instead of Cameras. Look in the Device status box under the General tab to make sure the camera is enabled. If it isn't, exit the properties menu and right click the device, then select Enable Device. If the above steps do not help, try updating the drivers. Right click the Start button in the lower-left corner of your screen and select Device Manager from the menu. Find your device under Cameras or Sound, video, and game controllers and right click it. Select Update driver, then follow the prompts. If Update driver is grayed out, double click your device in the device manager list and select Roll back driver under the Driver tab if it's available. If Windows cannot find drivers for your device, visit the manufacturer's website to see if they are available. From the desktop screen, right-click the lower-left corner and select Device Manager from the menu. Expand Imaging device and double click your webcam. Look in the Device status box under the General tab to make sure the camera is enabled. If it isn't, exit the properties menu, right click the device, then select Enable Device. From the desktop screen, right click the lower-left corner and select Device Manager from the menu. Expand Imaging device and right click your webcam. Select Update Driver Software, then follow the prompts. Click the Start button in the lower-left corner of the screen. Type Device Manager in the Start search box and press Enter. Find your webcam in the Device Manager. If you see a yellow exclamation mark beside it, you need to update the driver. Visit the manufacturer’s website to download the necessary Windows 7 drivers. Restart you computer. Upon restarting, Windows 7 should detect the drivers and install them. If your webcam will not turn off for some reason, try disabling it if you're using Windows 10. Otherwise, restarting your computer should fix the problem. FBI officials recommend covering your webcam with a piece of tape while its not in use to prevent potential hackers from spying on you.